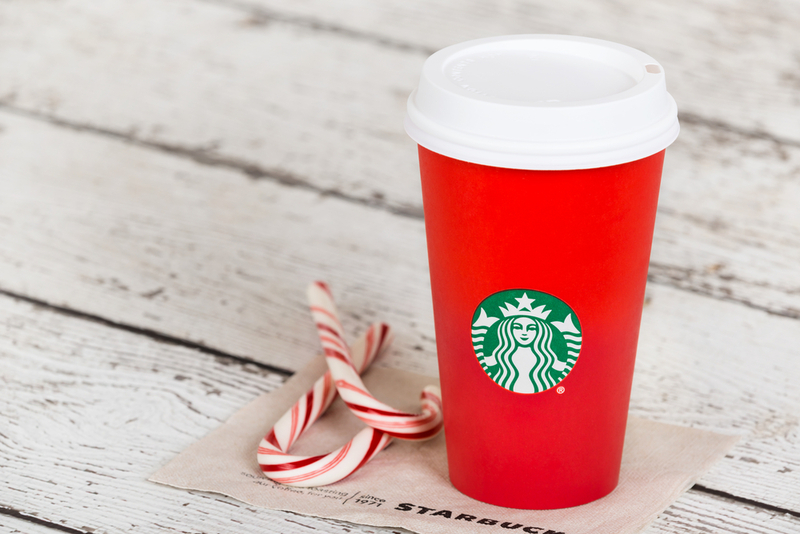 Hey, fellow Starbucks addicts, we’re getting a cool surprise as we begin the holiday season! Instead of red Starbucks cups that signify all the holidays are coming, the coffee mega-chain is switching to another signature holiday color — green. At least, for now. 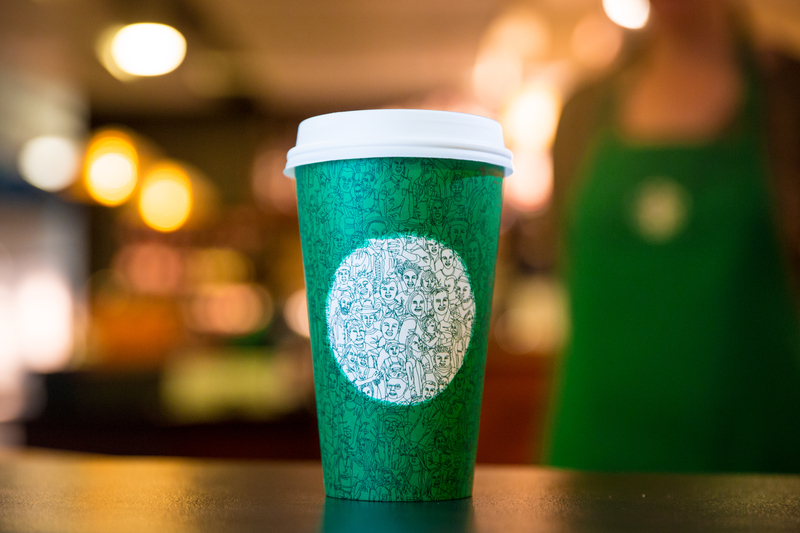 In its press release today, Starbucks states the cool design on the green cups is meant to communicate unity. It shows a barista, a coffee farmer, a family, and friends embracing in a mosaic pattern in green and white. It’s an awesome movement, and although we feel weird about not clutching a red holiday cup, we are so into the message behind the green and white illustrations. “The green cup and the design represent the connections Starbucks has as a community with its partners (employees) and customers,” chairman and CEO Howard Schultz said. “During a divisive time in our country, Starbucks wanted to create a symbol of unity as a reminder of our shared values, and the need to be good to each other,” he added. The franchise commissioned Shogo Ota, owner of Tireman Studio in Seattle, to create the designs. The green cups will be available in U.S. Starbucks locations in limited quantities, so you should probably go and get your holiday-flavored caffeine fix ASAP. If you’re feeling vexed about the green cups, don’t worry! According to Business Insider, red cups should be back in our festive lives mid-November. Red or green, these cups are one of the official symbols that it’s almost time for festive decorations, a whole lot of pie, and spiked eggnog. BRB, gotta make a coffee run!